We have not always worked in real estate, but this is the best job we have ever had and we love it! Born in Sweden, Ann enjoyed the outdoors from an early age and riding horses was her biggest passion. Then sailing competitively took over and this lead to working professionally on yachts. She continued sailing between periods of studying and working. Thanks to yachting friends she discovered Mallorca and sailed in here 1987 and never left! Ann fell in love with this wonderful island and the amazing quality of life we enjoy here. A new career in a Spanish bank helped Ann gather valuable knowledge, experience, and a huge network of contacts during her many years there. This has been invaluable in helping her to set up Beaumount Properties (the name comes from her Mother's family). Ann felt that there was a need for a reliable and serious real estate agency who really cared about helping clients who come to Mallorca to buy a home. We look after our clients not only before, and during the buying process, but also afterwards when many clients feel they need help the most. In her free time Ann enjoys her garden, walking, reading, discovering new parts of Mallorca with Alan and playing with Ollie, the rather naughty cat. Is Scottish and married to Ann! 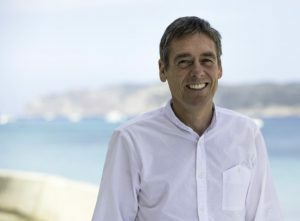 Alan sailed for many years as a professional and eventually arrived in Mallorca, where he met Ann. When they married, Alan left the boats and set up a crew clothing company to service the super yacht industry. After 18 years the time was right to move on, and to help Ann with Beaumount Properties. He is not a gifted linguist (his own words!) 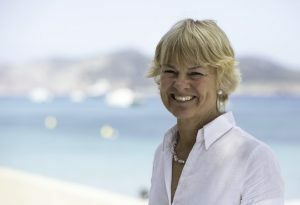 but enjoys meeting new people, and loves showing clients the beauty of Mallorca. Starting a new career has it challenges, but ones that he relishes! In his spare time he cycles as much as he can and is our King of The Mountains! He also loves to travel. With a wide network of business associates, multilingual skills and a true passion for Mallorca, we are here to assist you all the way from property search to finalizing the property deal and helping you with after-sales matters.